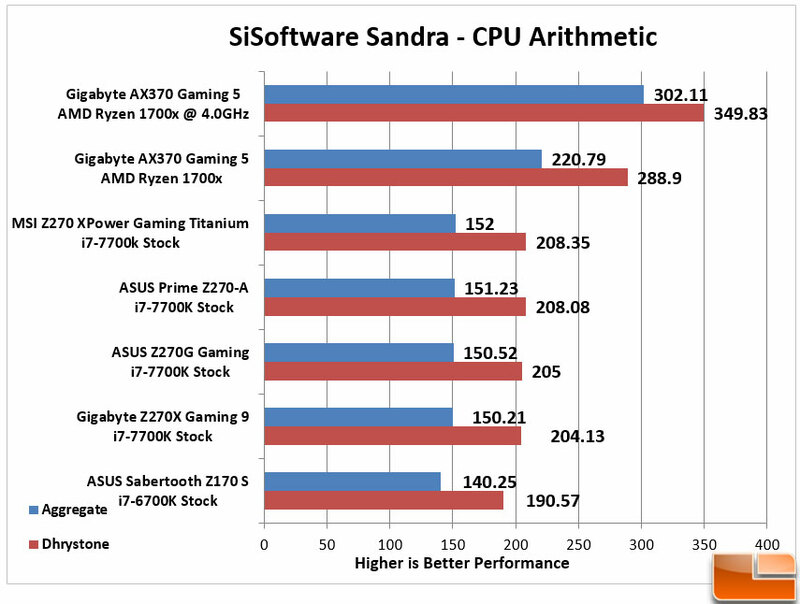 Legit Reviews General Performance Benchmark Analysis: For those applications which take advantage of the multiple cores and extra threads, the Ryzen processor takes a commanding lead. 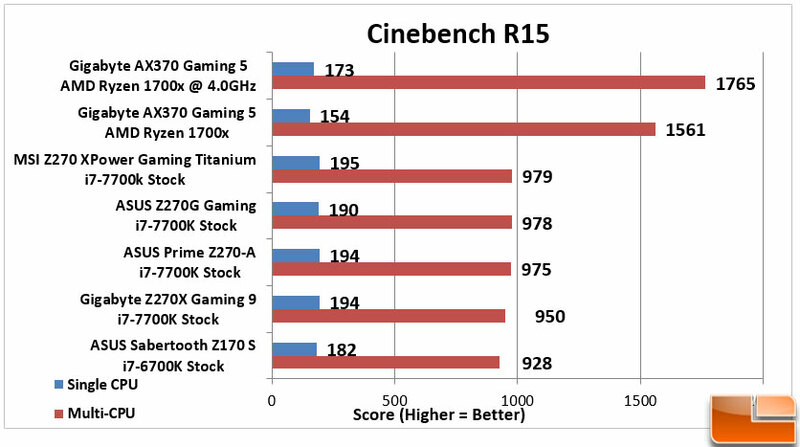 For example, in SiSoftware Sandra CPU Arithmetic benchmark, the Gigabyte Aorus AX370 Gaming-5 motherboard with the AMD Ryzen 1700X processor was around 40% faster, while in Cinebench R15 it come close to 60% faster! 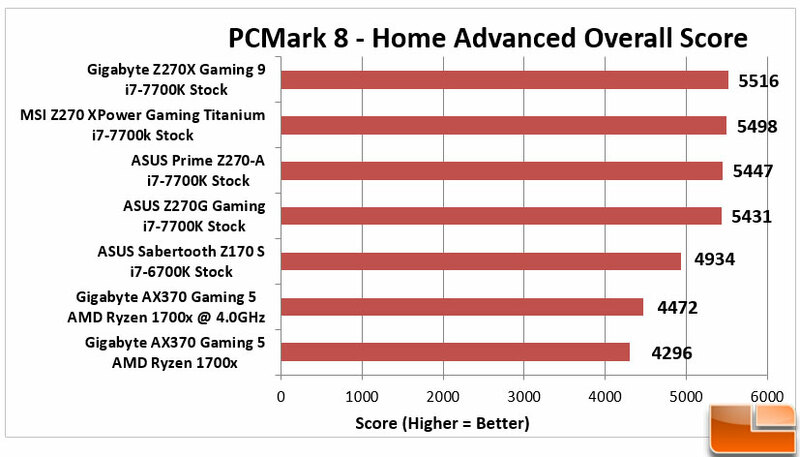 In those that doesn’t take full advantage of the cores (such as PCMark 8), it tends to fall behind. In PCMark’s case the Ryzen system was between 25% and 30% slower then the Intel Z270 systems. 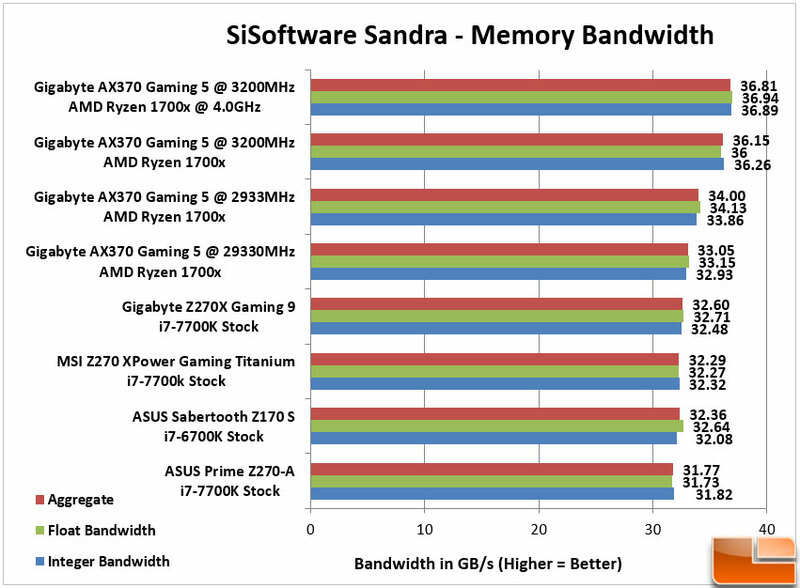 Taking a look at the results from SiSoftware Sandra Memory Bandwidth test, we see that even while running the memory with the XMP profile 2 at 2933MHz it still performed very well. 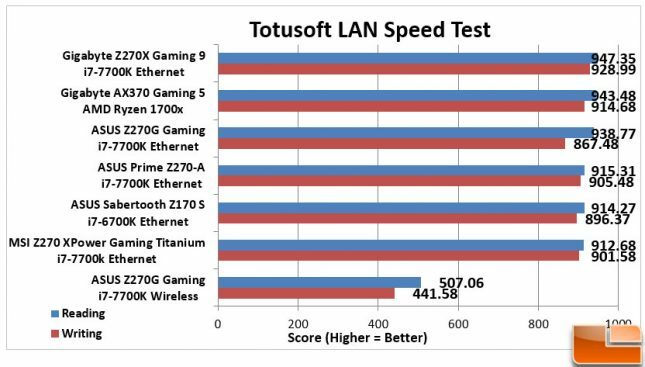 Once it was running XMP profile 1, or 3200MHz the scores went up as you would expect.